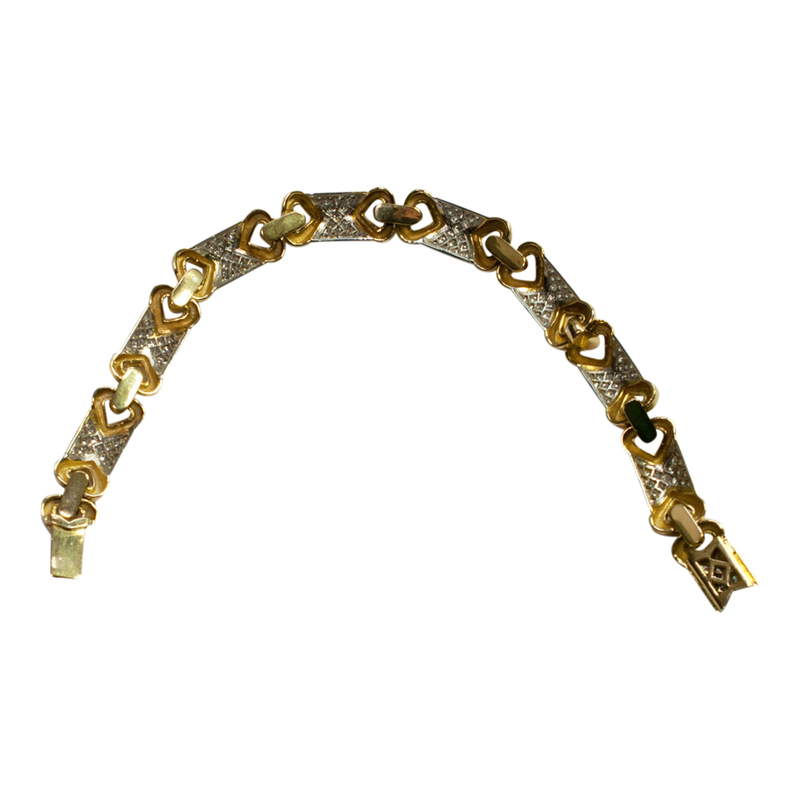 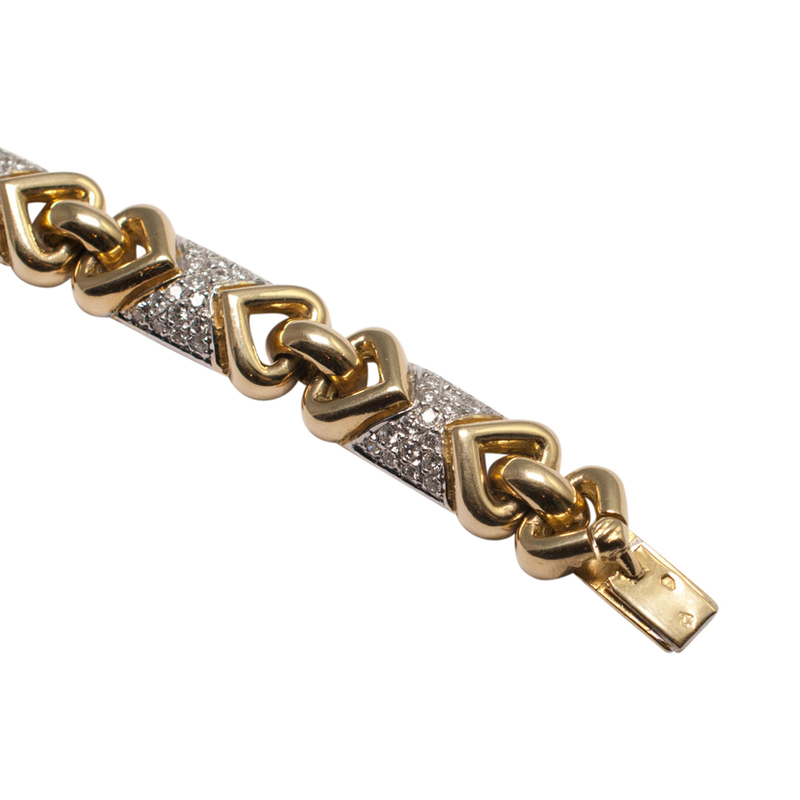 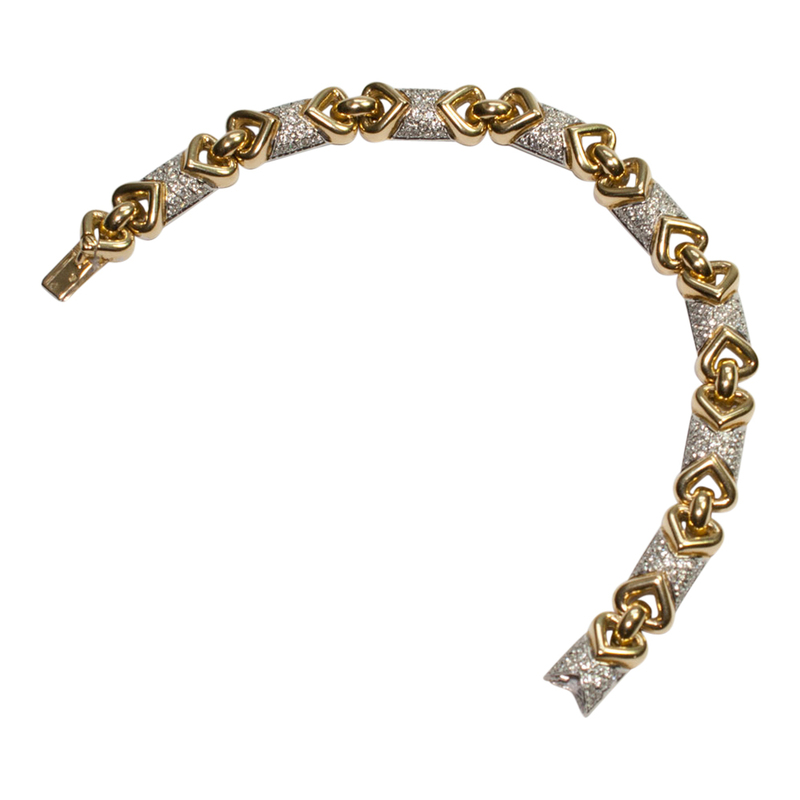 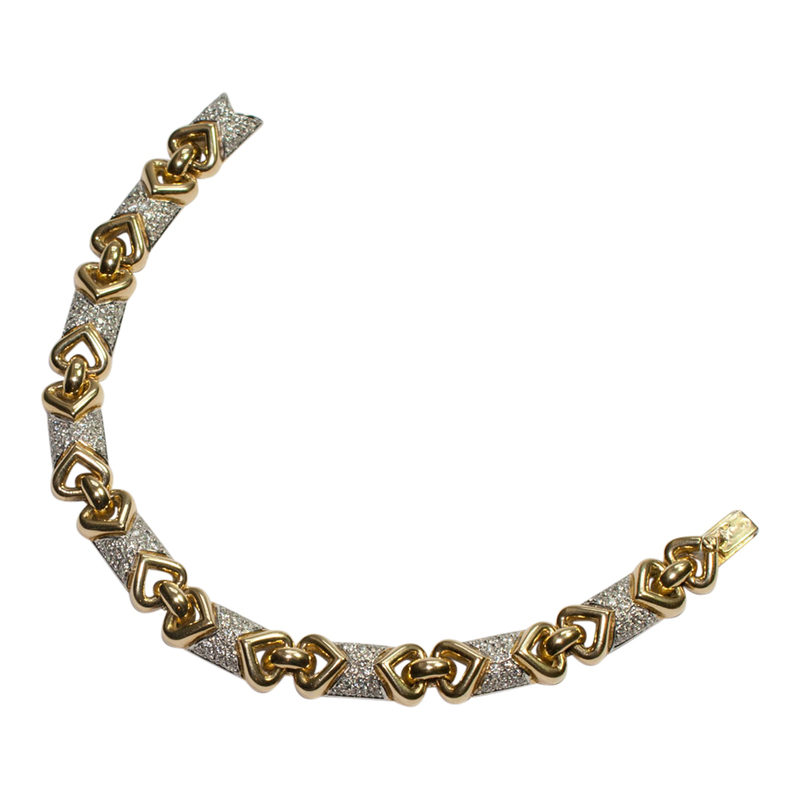 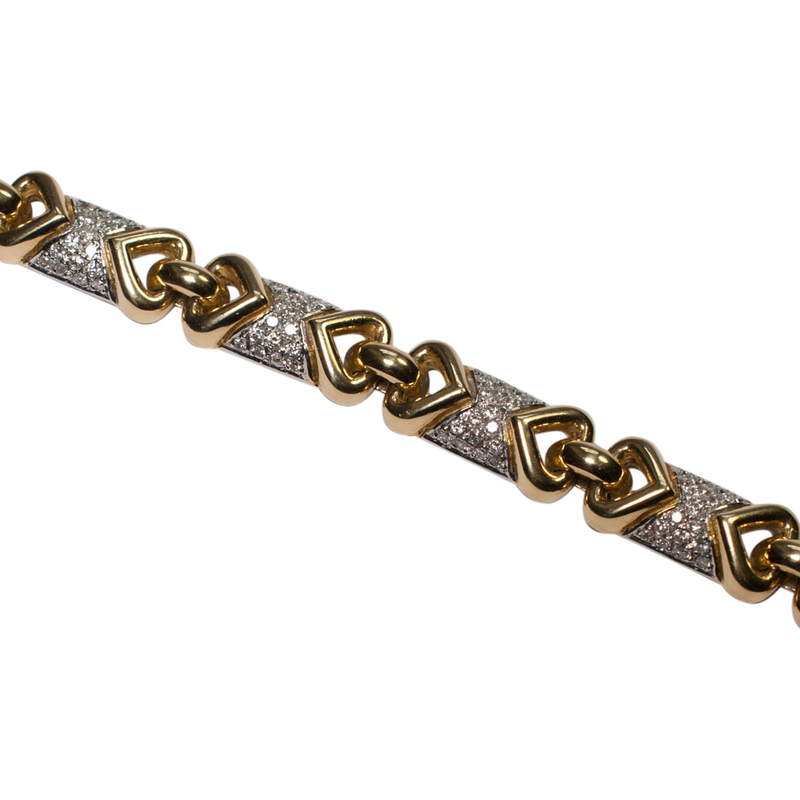 French 18ct gold and diamond bracelet; this is formed of gold and brilliant cut diamond sections, linked by gold rings with the clasp hidden in one of the sections. 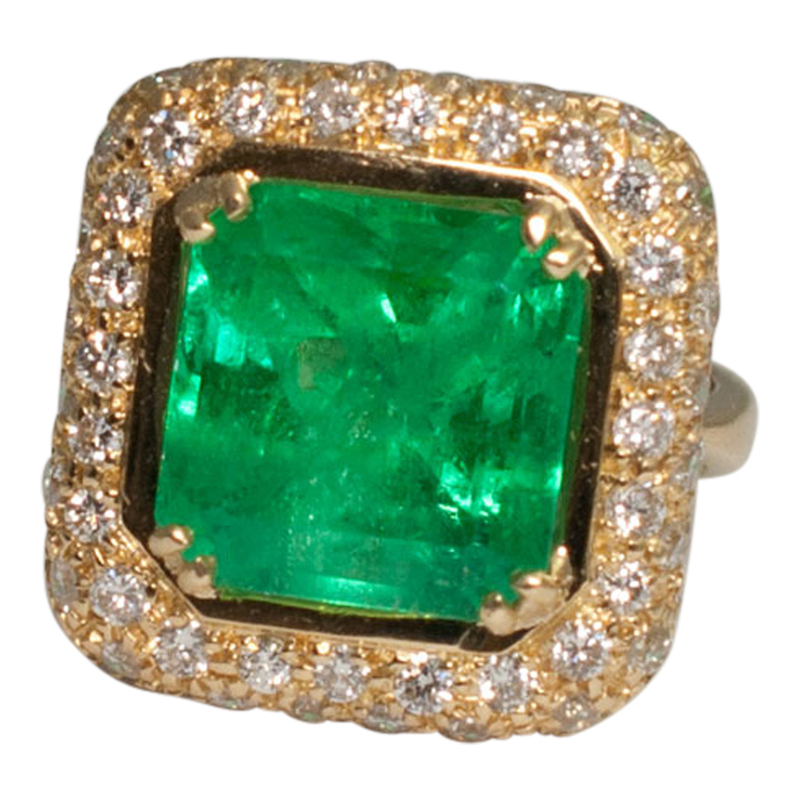 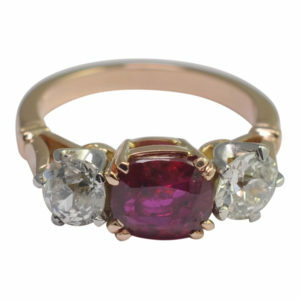 Diamond weight 3.40ct; weight 35.4gms; length 19ms; each section measures 2cm x 1cm. 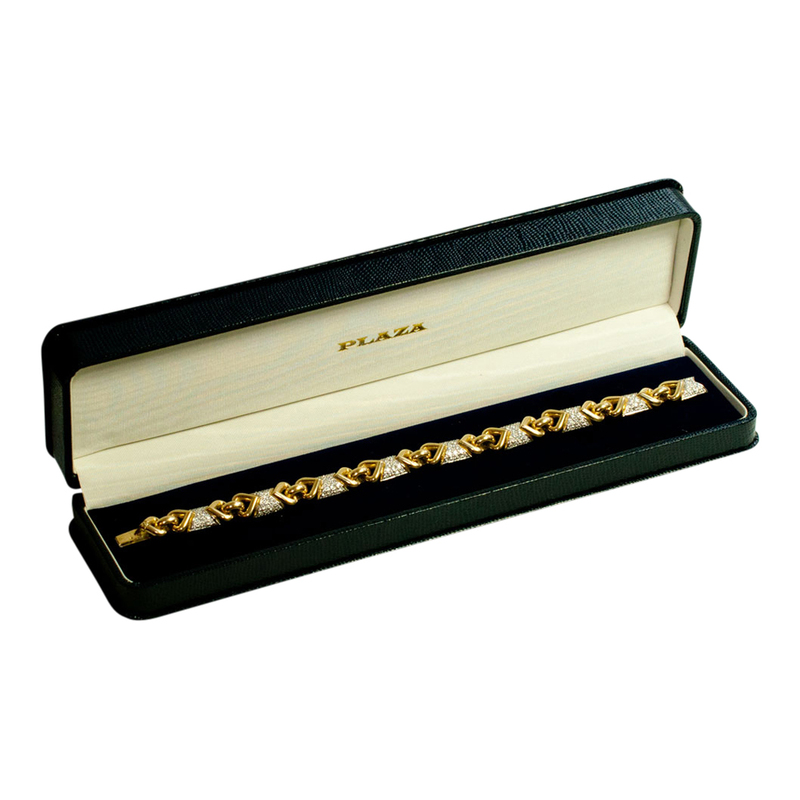 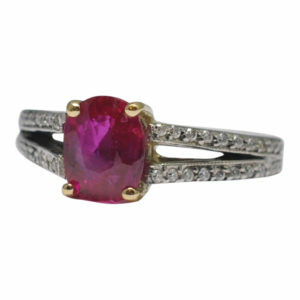 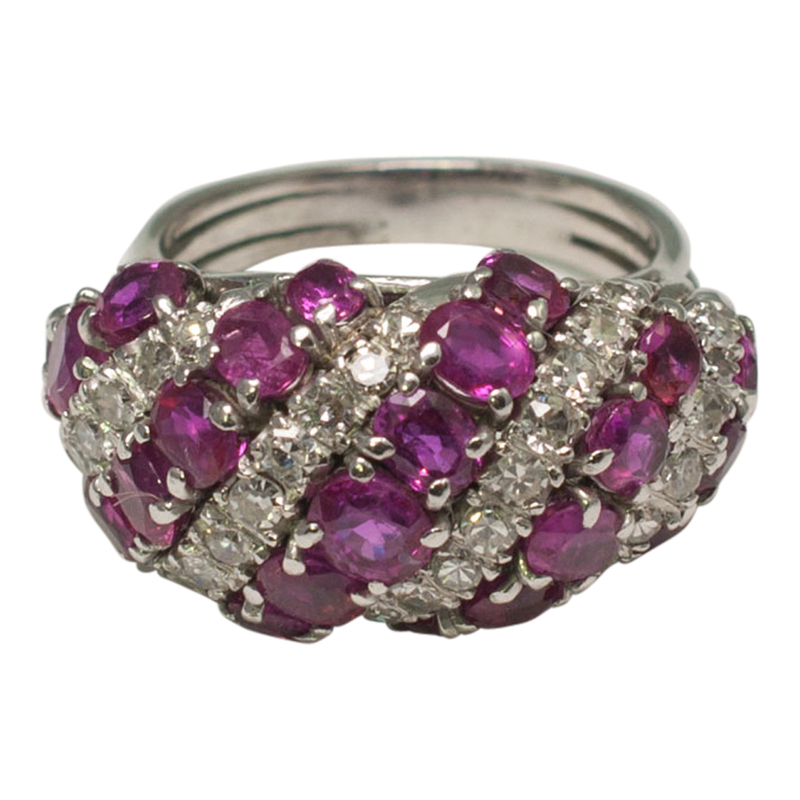 The bracelet is in excellent condition with the clasp in full working order. 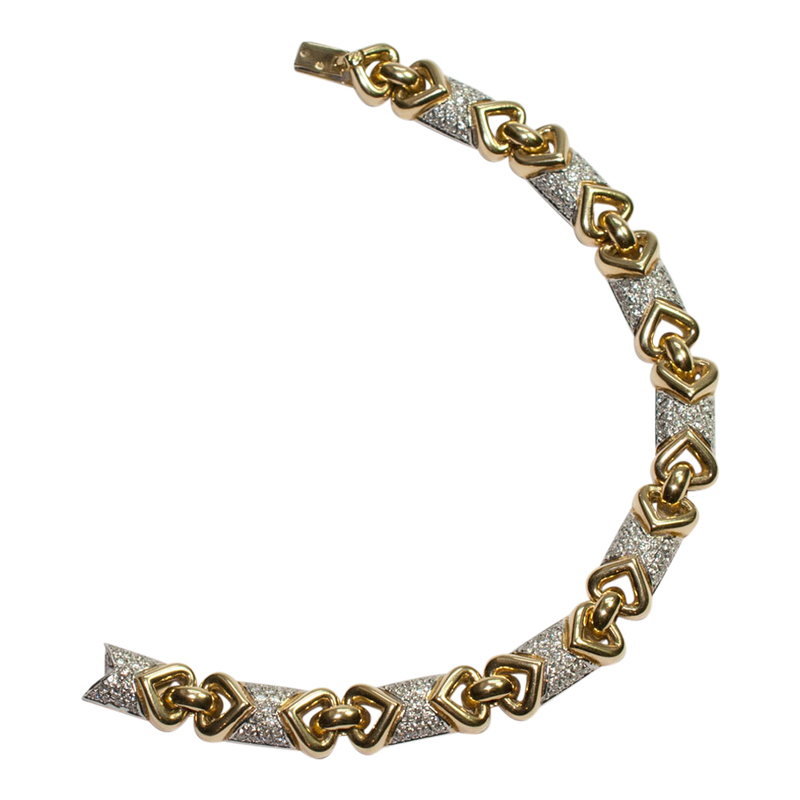 The individual sections make this a very comfortable bracelet to wear. 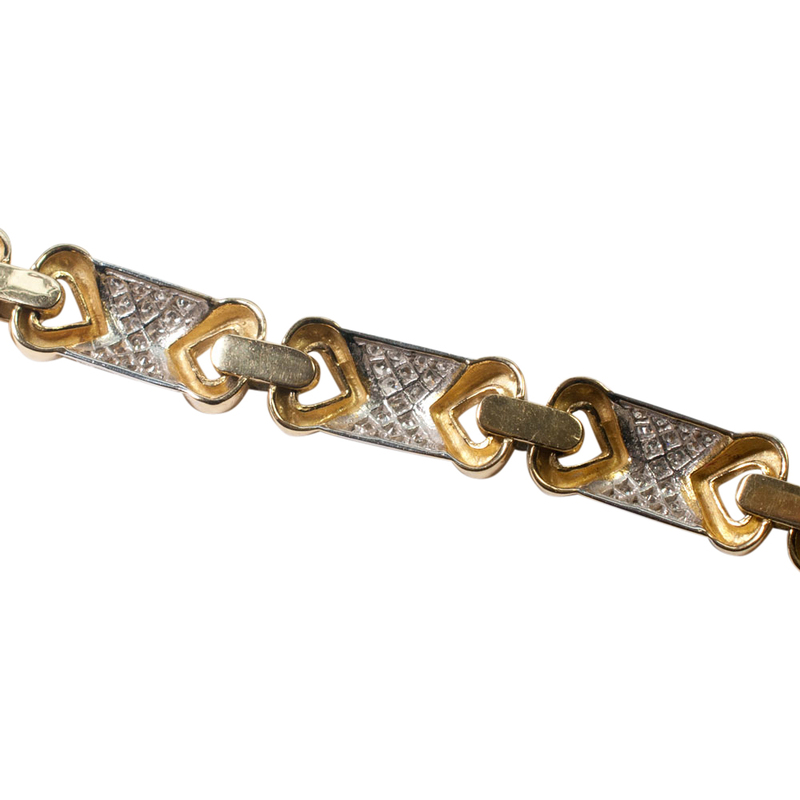 Stamped with the French 18ct gold state control mark (Eagle’s head) and maker’s mark.